223. An arrangement for obtaining variable circular motion. The sectors are arranged on different planes, and the relative velocity changes according to the respective diameters of the sectors. 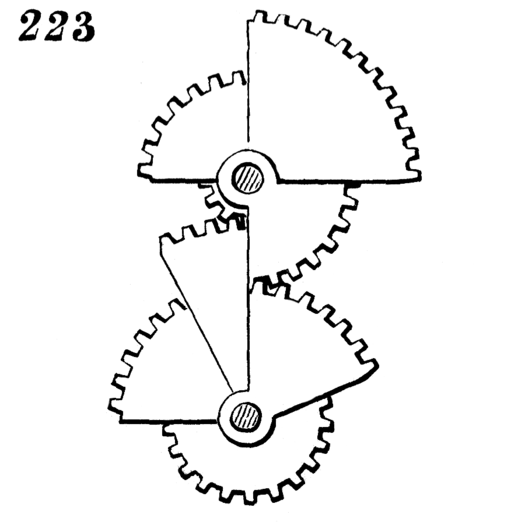 In an actual mechanism, one would have to alter a few teeth to allow the gears to mesh at the speed transitions. In the animated version we can see how the teeth would collide and jam at these points.